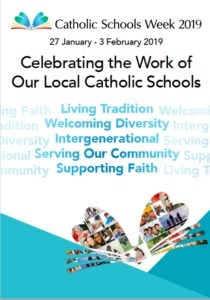 Schools: Celebrating the Work of Our Local Catholic Schools. As Irish society changes, it is important that we reflect on the unique contribution of Catholic schools to our collective goal of education. Each Catholic school shares an ethos that is inclusive, welcoming and vibrant. Each school is influenced by the community it serves; be it large urban schools, small rural schools, schools with a wide variety of ethnicities and every school in between. For this reason, every Catholic school works in a unique and distinctive manner in educating each child to holistically develop their talent, skills and potential. Each Catholic school is a vital member of the one community which is called to work towards the Kingdom of God. Each Catholic school contributes to this mission in a unique way. This year, celebrate the unique contribution and work of your own Catholic school.